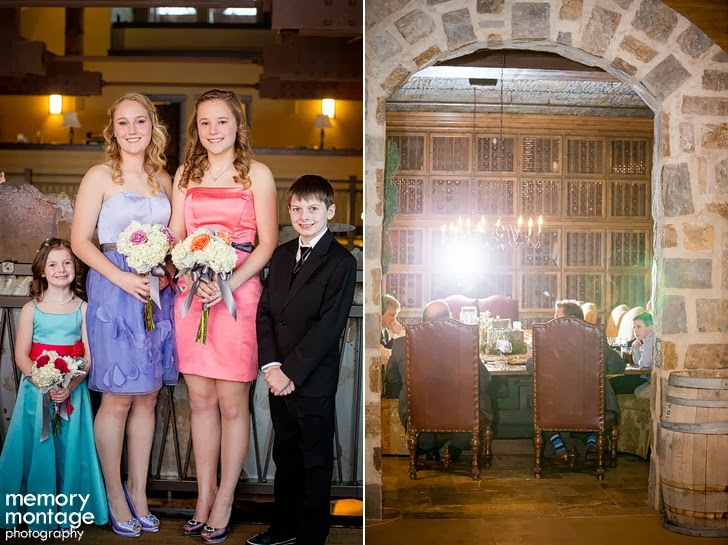 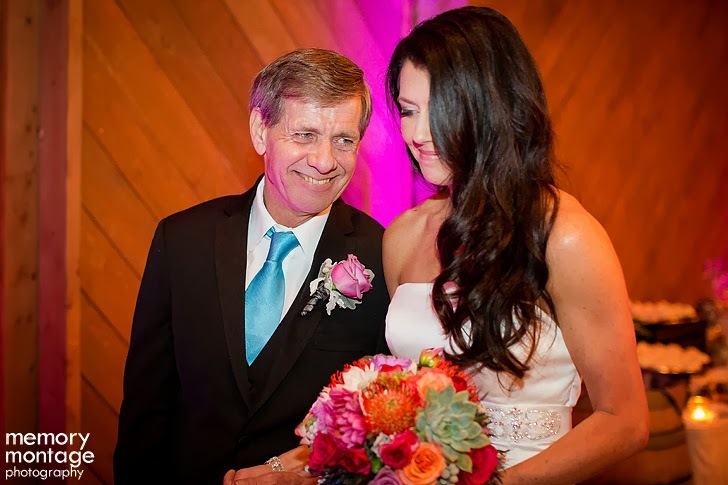 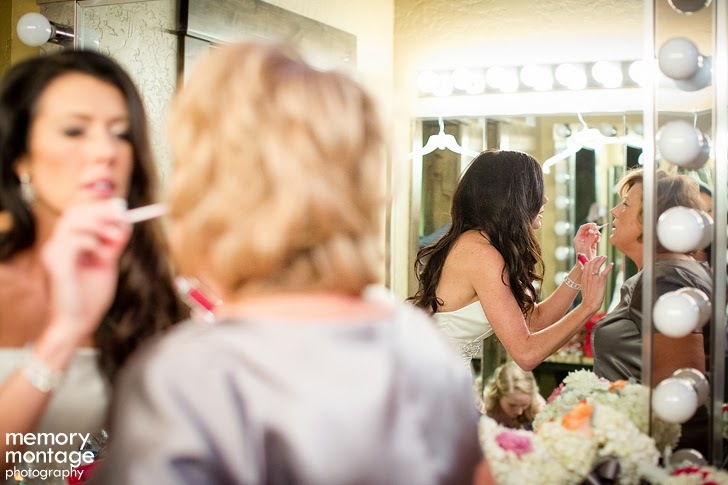 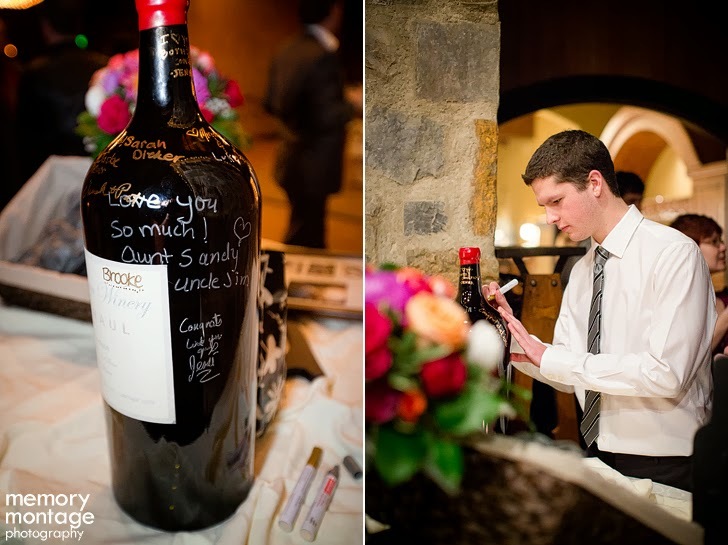 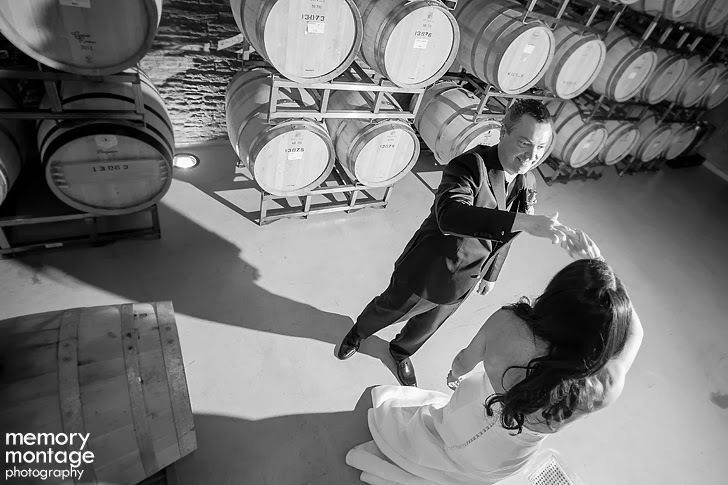 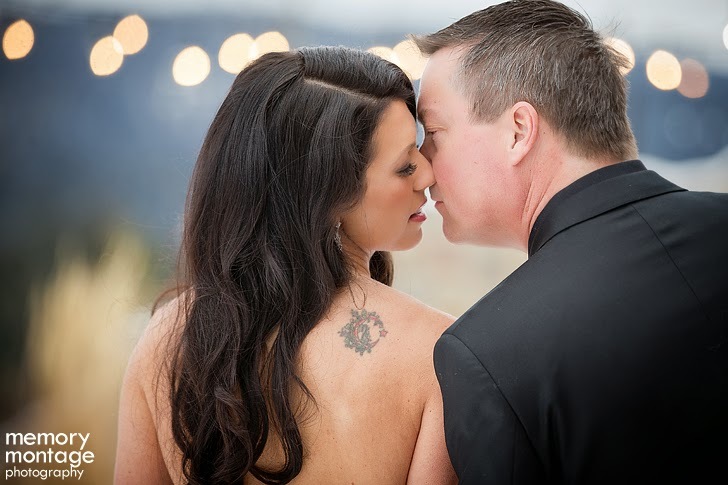 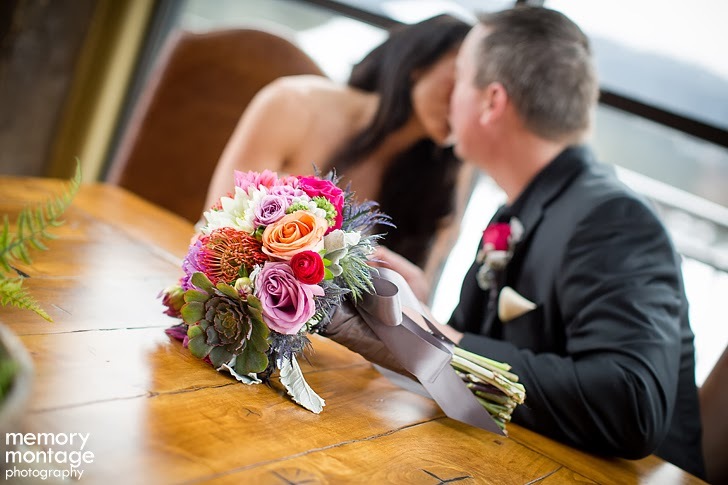 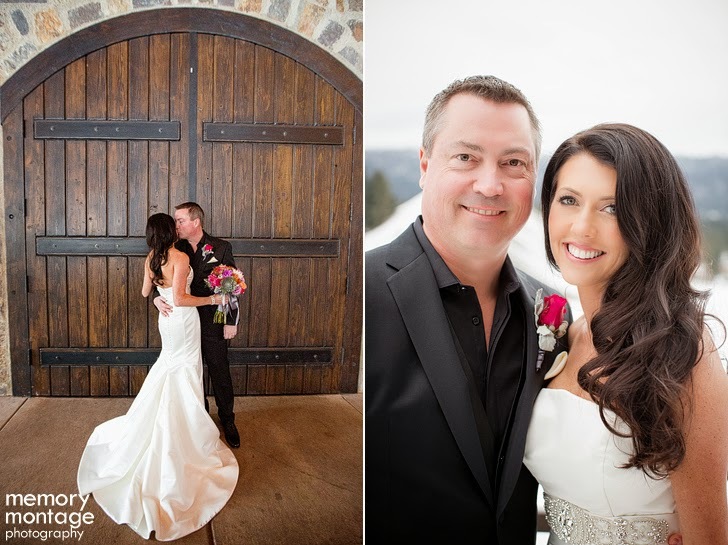 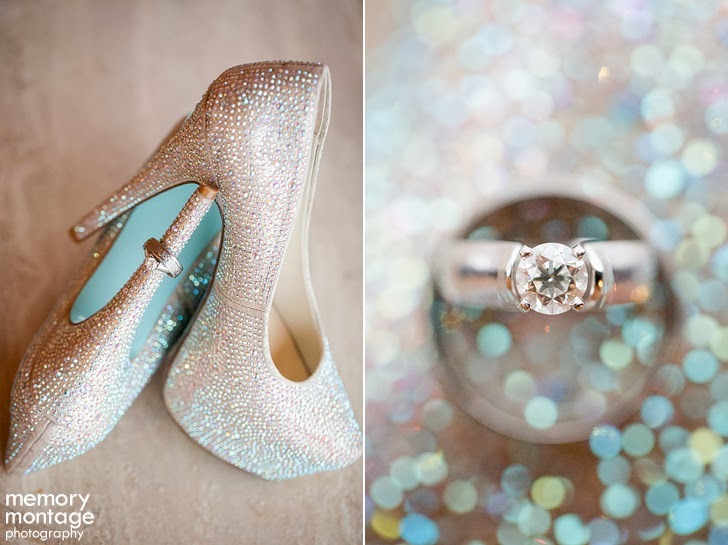 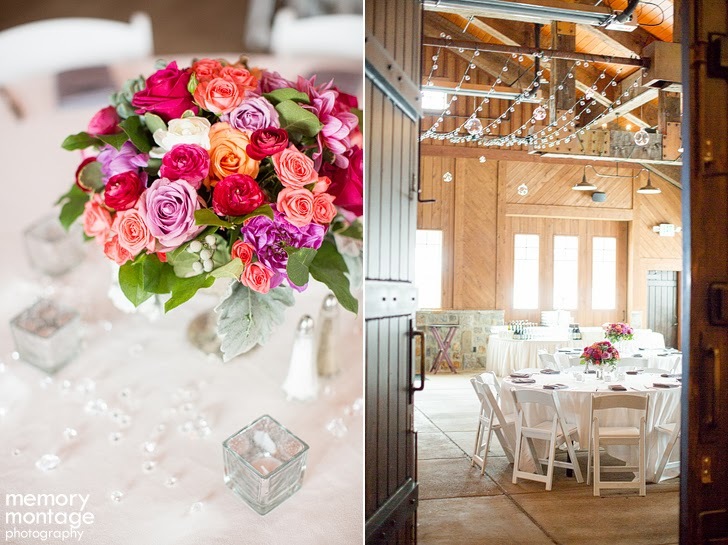 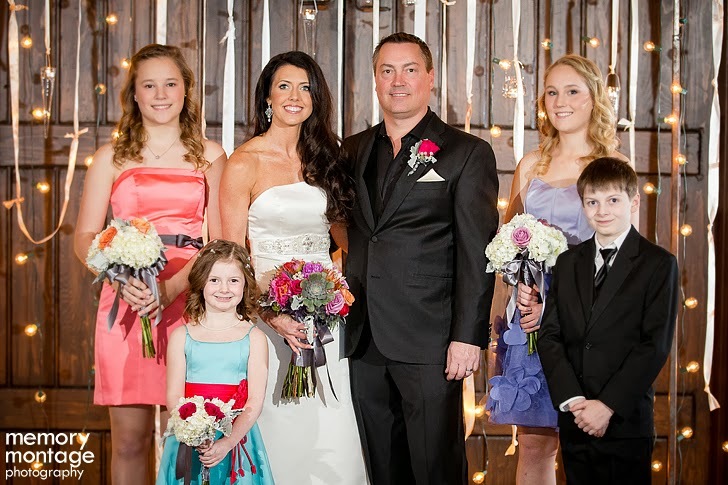 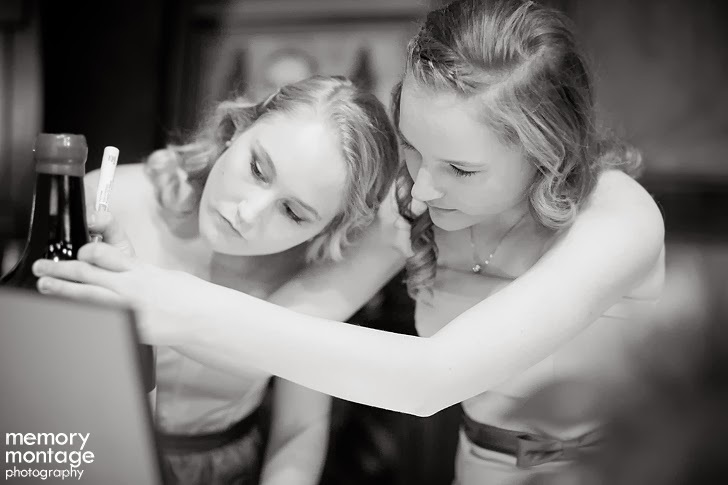 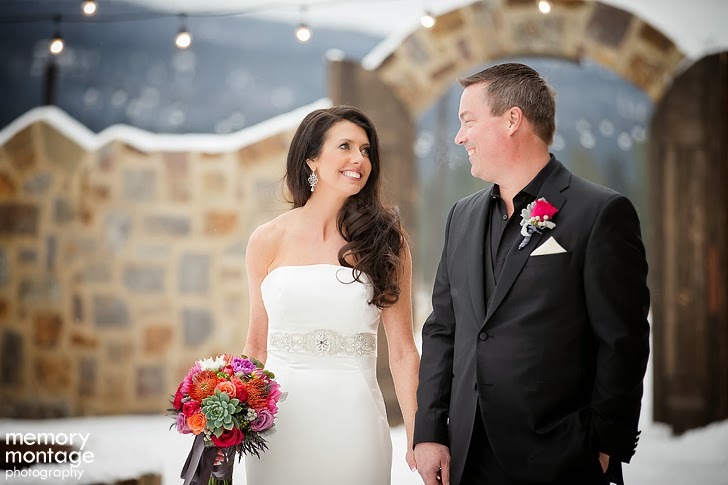 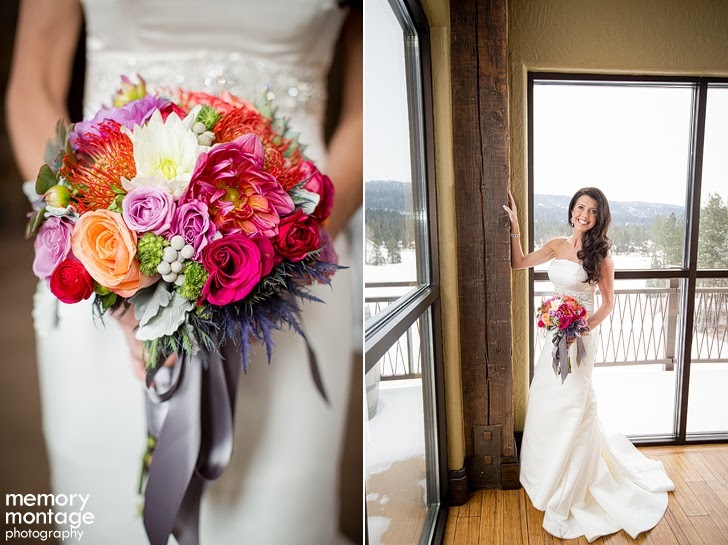 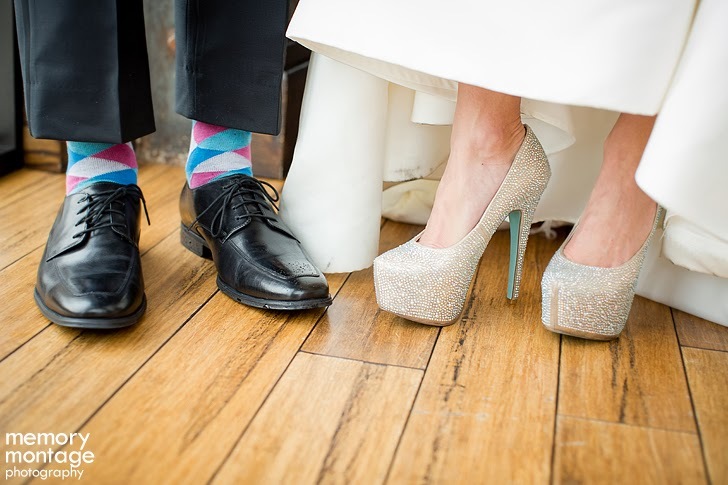 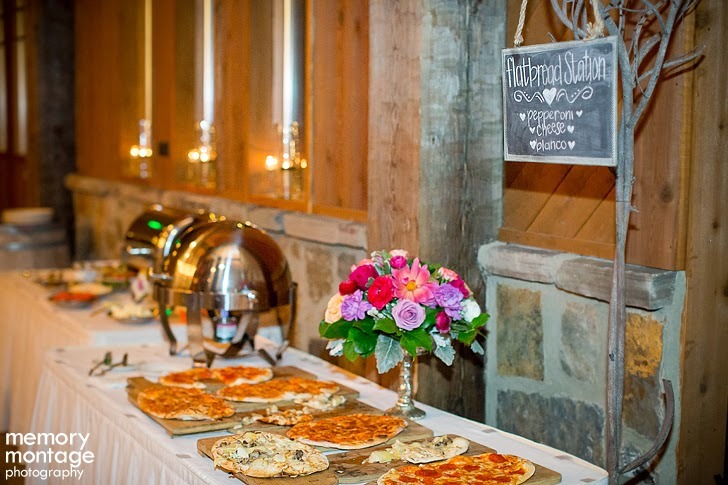 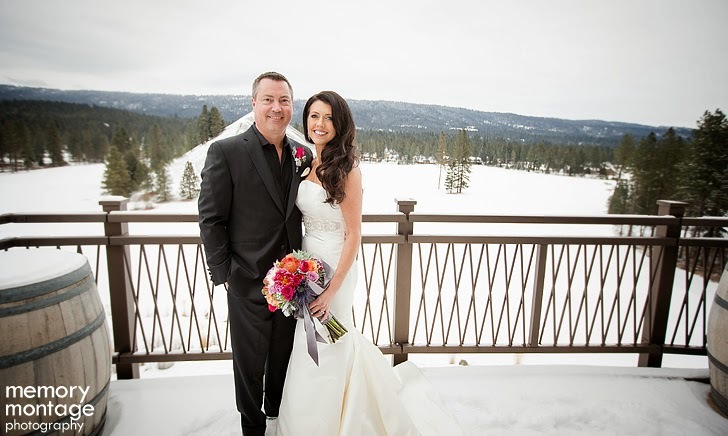 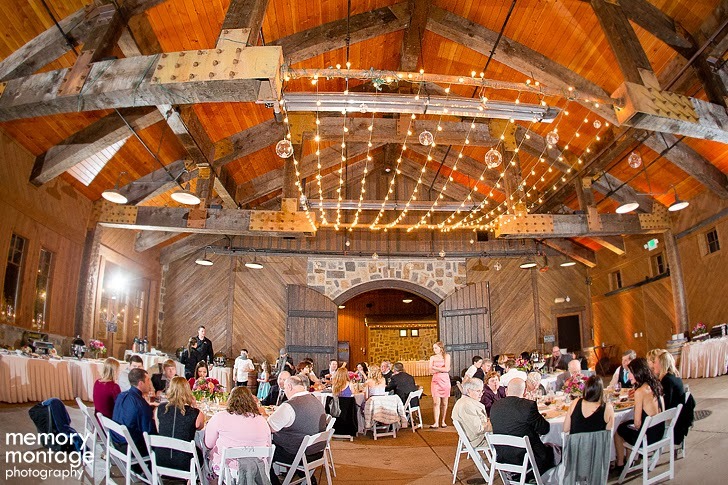 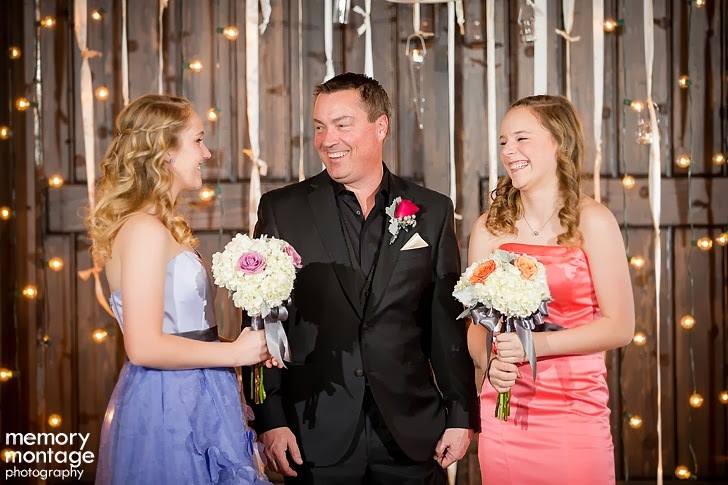 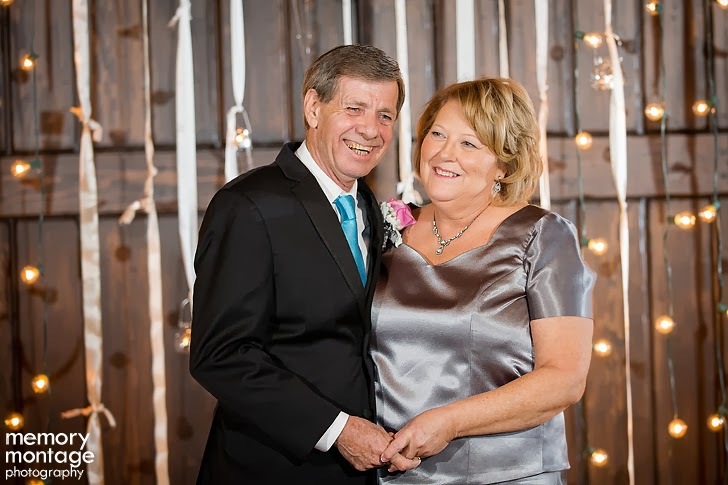 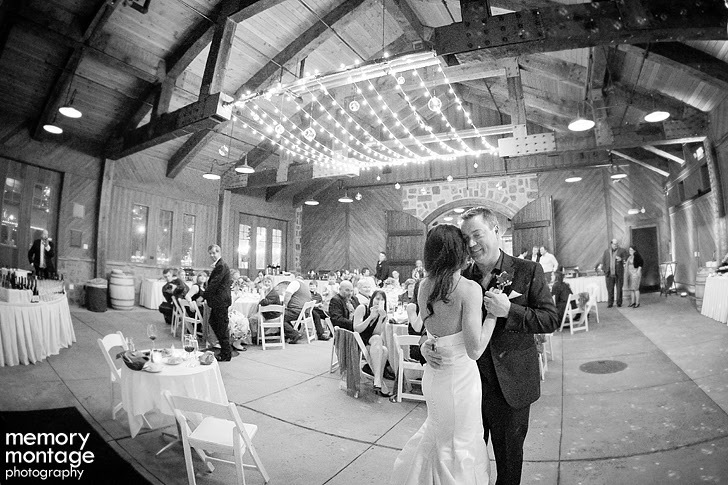 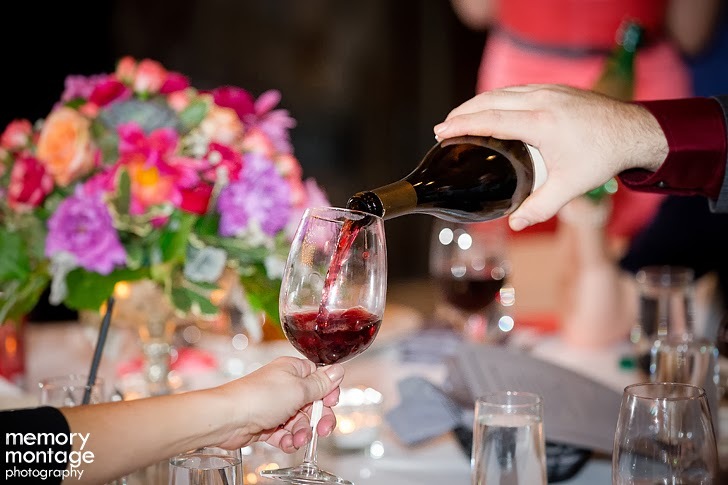 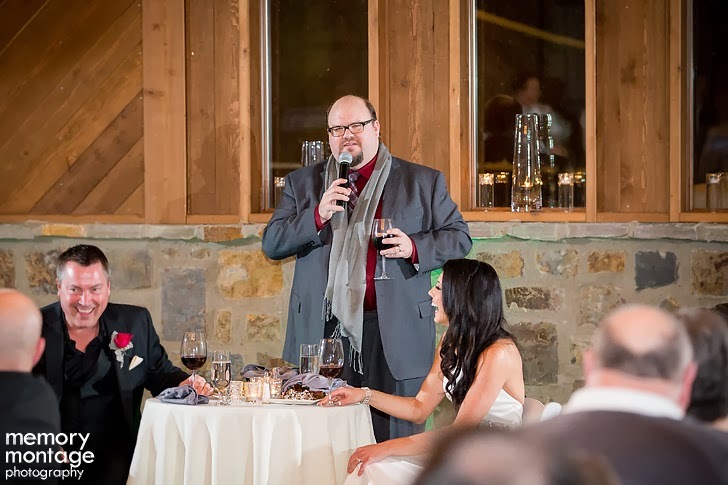 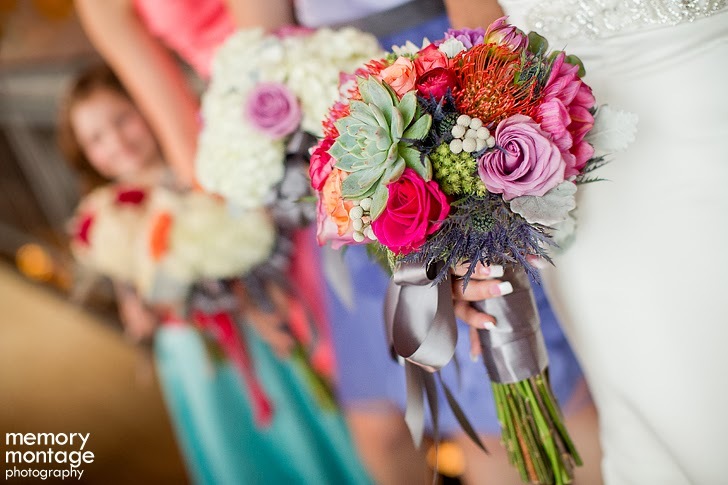 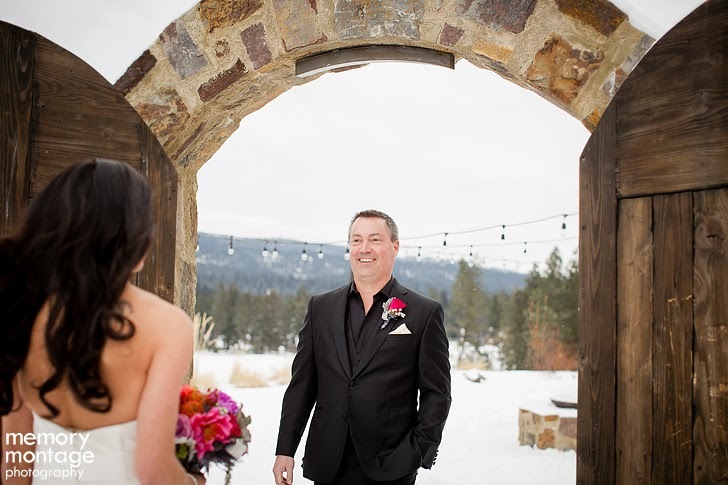 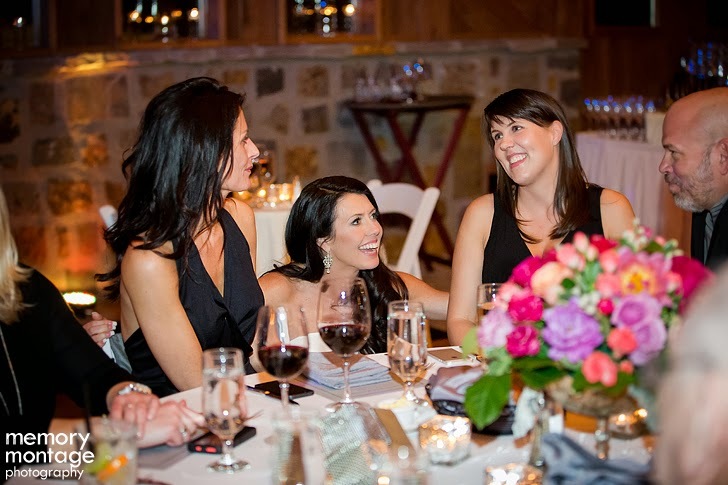 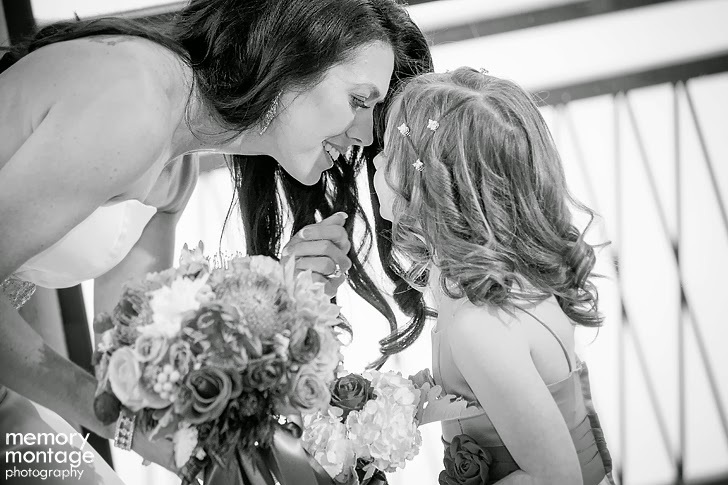 Tavis and I photographed this wedding on February 8th at Swiftwater Cellars. 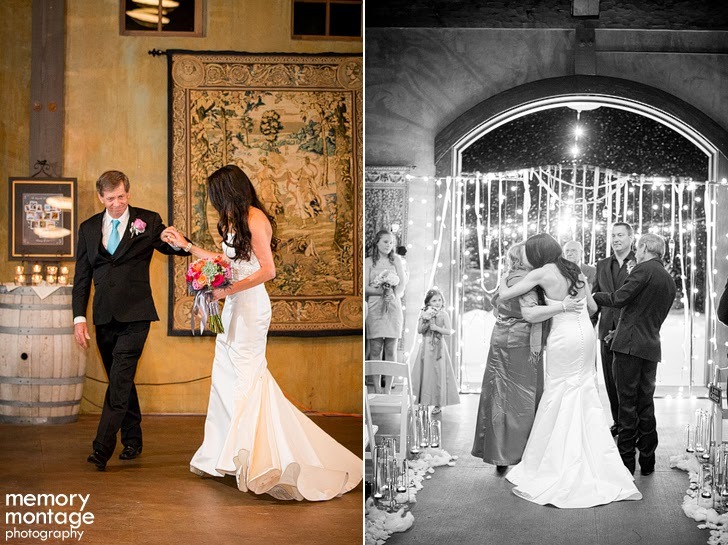 It's fun because their wedding date is 2-8-14 and their address is also 2814, which was a complete coincidence! 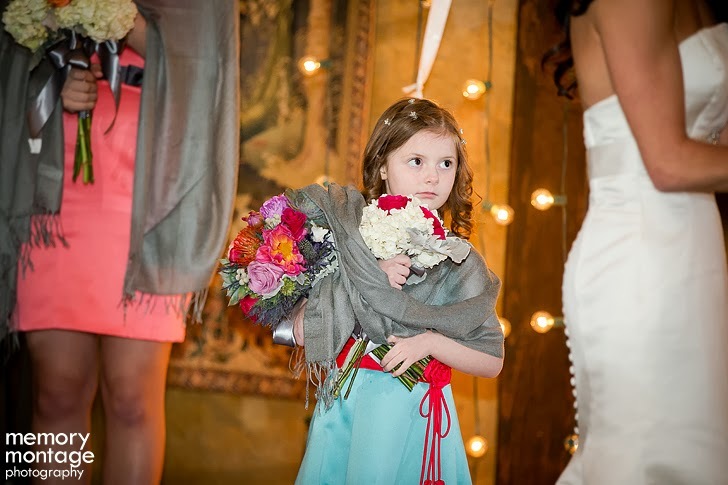 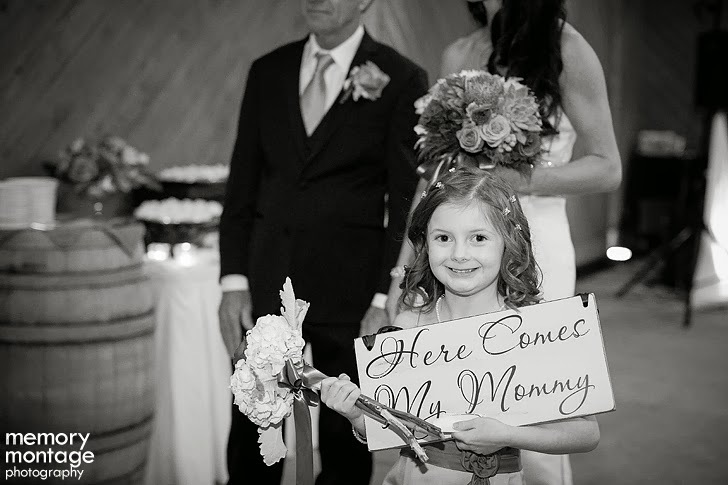 Another unique feature to this wedding was how much they involved their kids into the day. 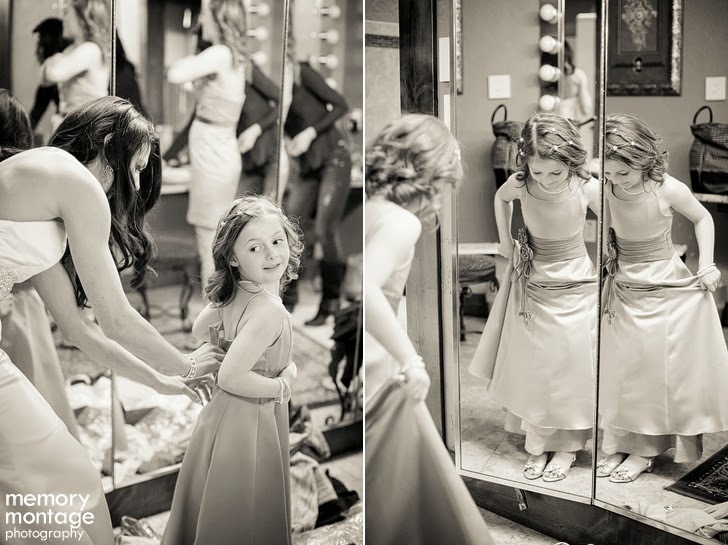 Their 4 children were the bridal party, and the girls all got to pick out whatever dress they wanted as bridesmaids. 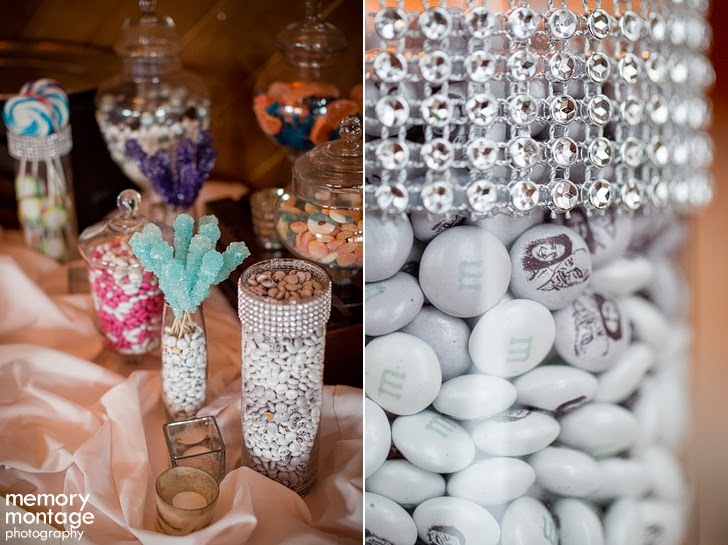 For their favor table they had a variety of candy but my favorite were the customized M&Ms with pictures of them and their family imprinted on the M&Ms! 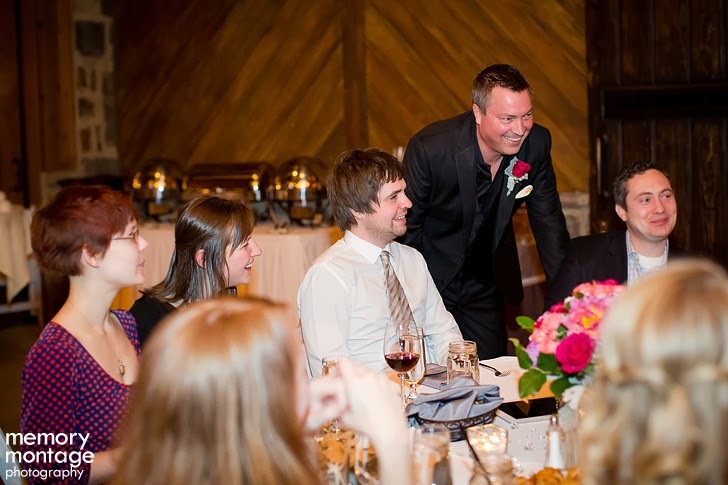 I had never seen this at a wedding before! 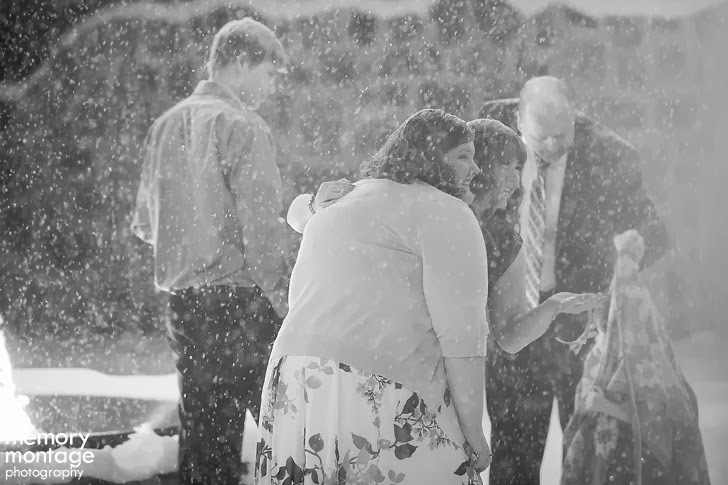 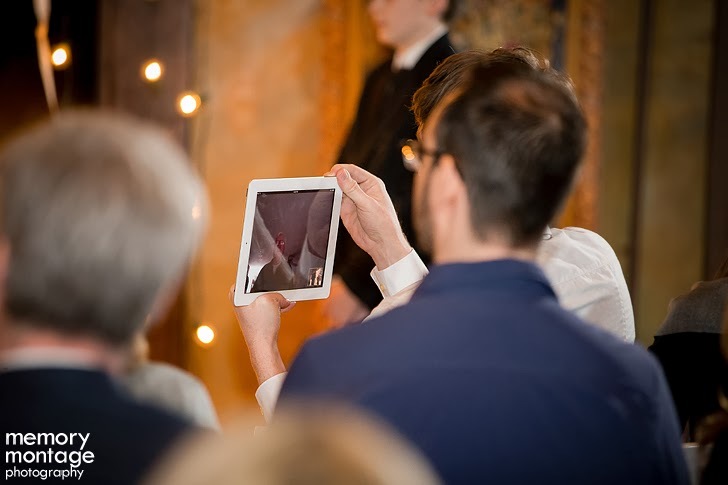 It was an honor to photograph their whole day, but I especially loved the moments before the ceremony when a recording came over the speaker of a special message from Caryn reading to her dad. 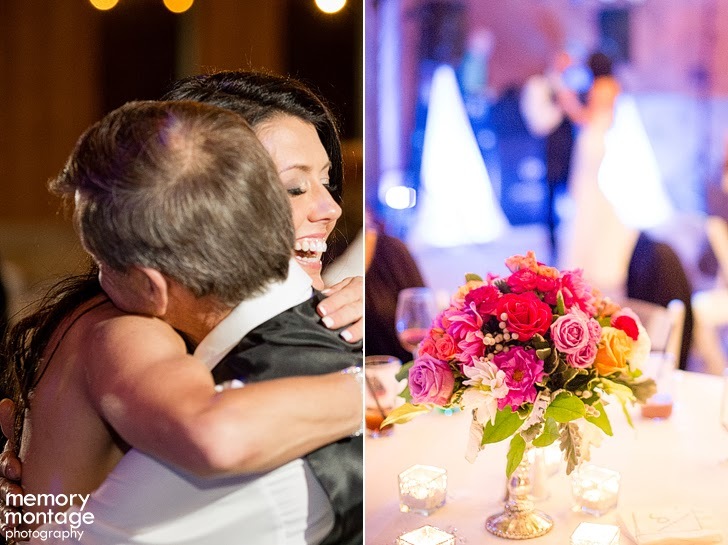 It was so great to see his expression of surprise and to photograph those special moments! 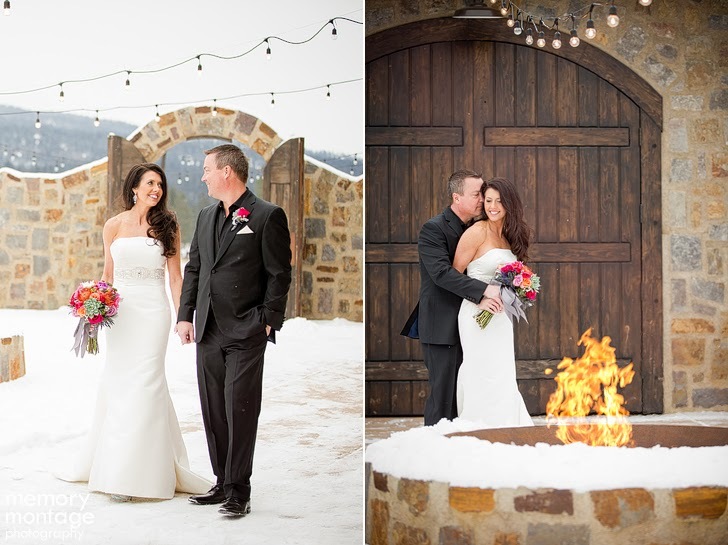 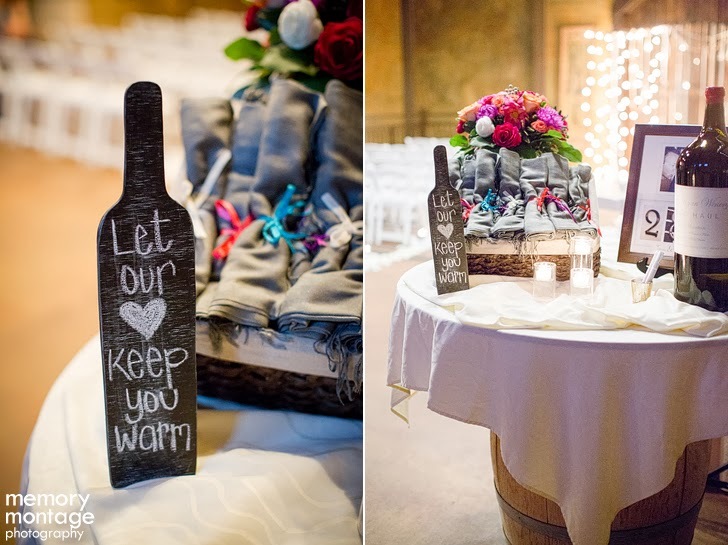 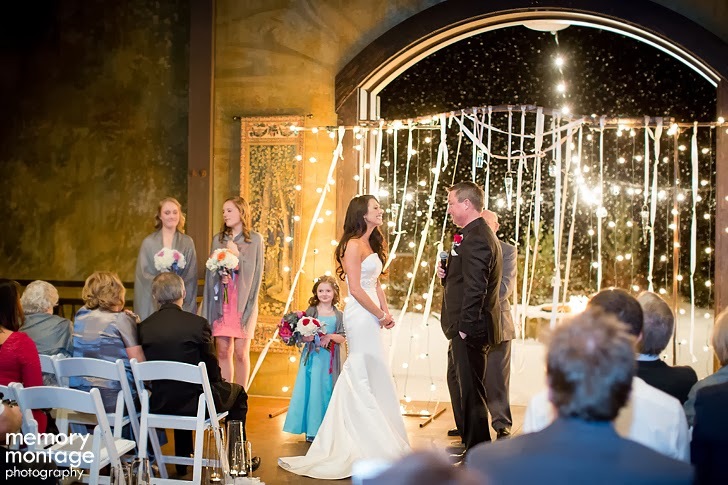 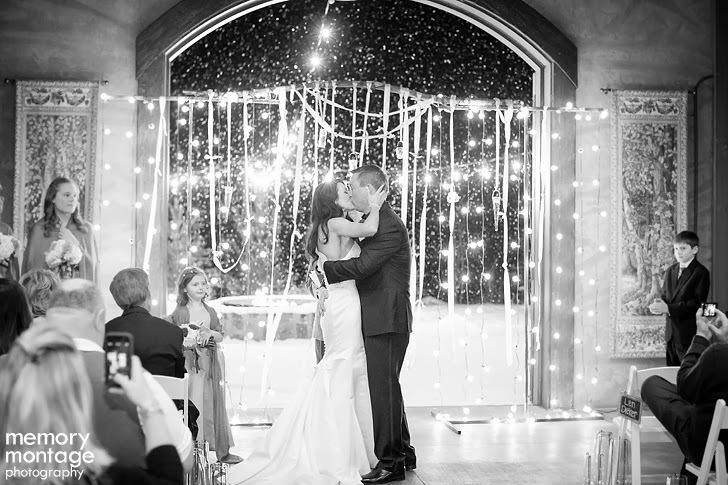 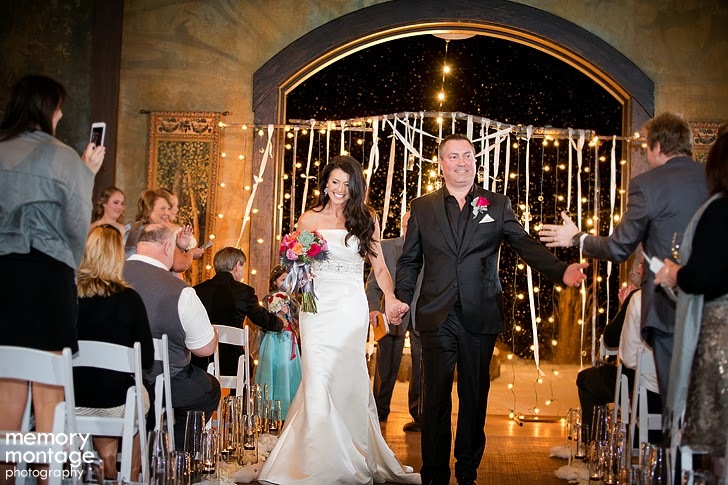 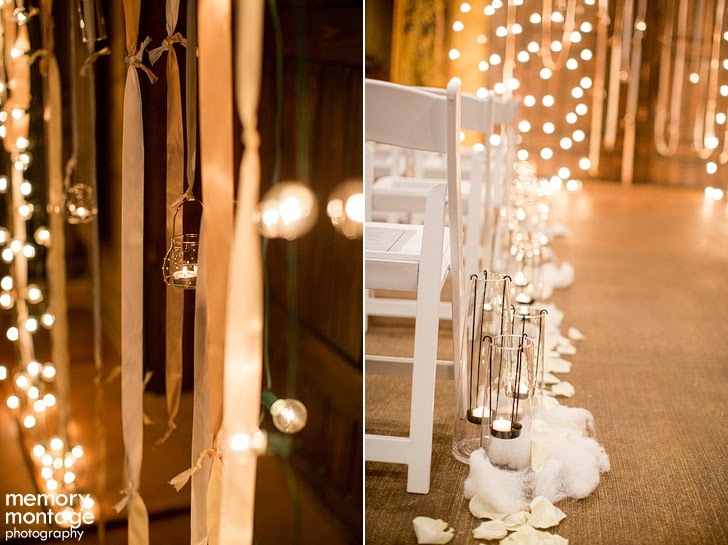 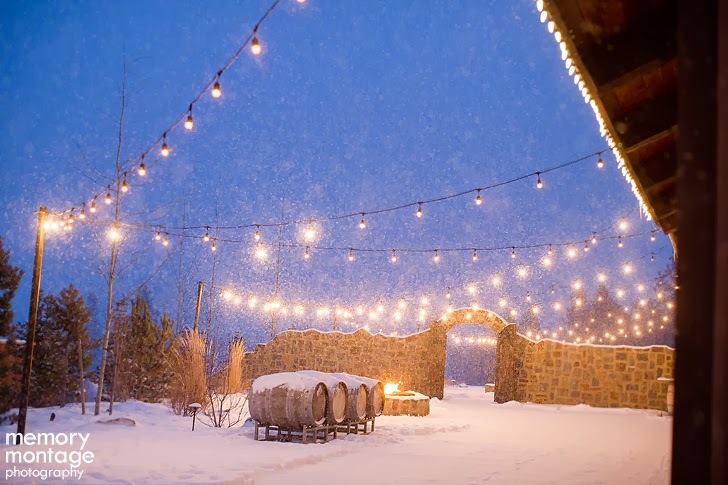 The whole setting was very romantic - I loved all of the candles and the snow falling during the ceremony!